Is PSM part of HSE? The short answer is No. Many of us do not consider PSM part of HSE. Yes, both are trying to save lives, but they attacked nearly independent issues in different ways. And they use staff with greatly different backgrounds. Further, PSM, if implemented right, will greatly reduce operational and quality losses, since it focuses in process improvements. HSE Example: For an HSE (occupational injury) issue such as falling from a height, a company will use a Certified Safety Professional with perhaps a 2 year diploma to make sure the harness hookup (anchor) points are predetermined and correct strength and to run programs to encourage the worker to wear a fall restraint harness and to always stay tethered to the anchor points. Even with all of these measures, the worker who will make the initiating event (make a wrong step into space) is the same one who must wear a harness, and attach the lanyard/tether to an anchor point. So, in this simple case, there are no independent protection layers against possible death of an individual. Also, even if there is a fatality, there will likely be no harm to the production or quality. These outcomes and the lack of independent protection layers are the norm for HSE (Occupational Safety and Health) issues. PSM example: For a PSM (process safety) issue, such as overpressure of a process vessel or column, a process engineer (chemical engineer) with a 4-5 degree and many hands-on years of experience in design and/or operation will help a team of folks decide what are the best protection layers and then design the layers to be independent of the initiating event (say, a process controller malfunction) and then complete the detailed design of the pressure vessel, and each independent protection layer (interlocks, relief devices and downstream systems), and also help design what to do if all of these fail. In nearly all instances, the start of the accident sequence (initiating event) has nothing to do with the layers of protection. 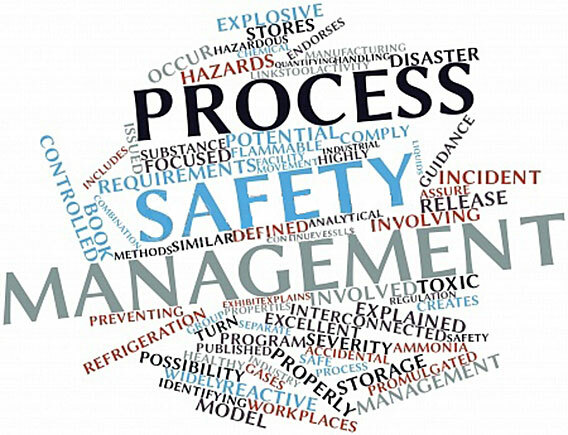 In a process safety accident, the equipment and productivity could be greatly harmed, in addition to harming one or multiple humans. Because of the educational and backgrounds required, there is not much synergy when combining HSE and PSM staff/resources. On the other hand, process safety and process reliability have 90% or higher overall in skills required and in focus. Can a final element, such as an air-to-open control valve, be shared between a BPCS control loop that is the cause of a scenario, and an SIF that is an IPL for the same scenario? When should PHAs (HAZOPs, etc.) Be Performed During Major Projects? PSM (process safety management) – Basics: What it is and isn’t.